After a full year underground, The Underbelly Project is resurfacing this December in Miami during Art Basel. Presented in its own pop up gallery from 1 December – 5 December, the show will feature original artwork from 35 of the 103 international artists that participated in the hidden subway project. This exhibition will highlight the essence of the abandoned New York City station known as the Underbelly. Included in the show are street, graffiti and fine artists alike. The full line-up of artists include: Faile, Dabs & Myla, TrustoCorp, Aiko, Rone, Revok, Ron English, Jeff Soto, Mark Jenkins, Anthony Lister, Logan Hicks, Lucy McLauchlan, M-City, Kid Zoom, Haze, Saber, Meggs, Jim & Tina Darling, The London Police, Sheone, Skewville, Jeff Stark, Jordan Seiler, Jason Eppink and I AM, Dan Witz, Specter, Ripo, MoMo, Remi/Rough, Stormie Mills, Swoon, Know Hope, Skullphone, L’Atlas, Roa, Surge, Gaia, Michael De Feo, Joe Iurato, Love Me, Adam 5100, and Chris Stain. Fashioned to simulate the rawness of the abandoned station four stories beneath the bustle of New York City, the exhibit will attempt to capture the experience of artists’ that were invited leave their creative mark four stories beneath the city streets. The show will feature video footage of artists at work, still documentation, as well as recorded sounds heard in the tunnel. 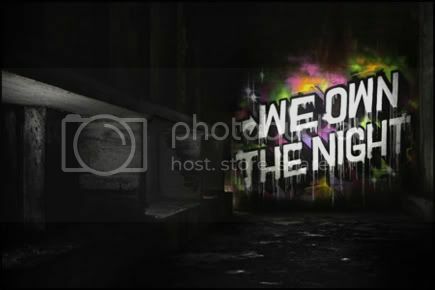 Exclusively at The Underbelly Show, the unreleased We Own the Night: The Art of The Underbelly Project book, will be available as a limited edition collectors boxed set before the public release in February. This boxed set will include a hard cover book along with 9 unreleased photos packaged in a hand crafted oak box engraved with the names of each artist that contributed to the project. Before the general viewing there will also be a book signing featuring many of the aforementioned artists. The gallery is located at 2200 Collins Avenue South Beach in Miami.